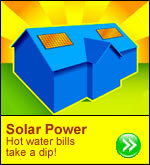 ﻿ Water Bill Rates – Water Bill Company – Water Saving Equipment. If you are worried that you are paying too much for your water bills, unfortunately there is not the option to switch suppliers. You can, however, switch to a water meter that could save you money as you will only then be charged for the water you actually use. Most households are entitled to have a meter fitted and your water company will not charge you for this. 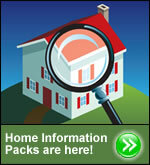 For information about getting a water meter fitted then contact your water company. You can find a link to your company with contact details at the foot of this page. If you need assistance with this, homeenergysaver.com will take the first step for you - all you have to do is spend a few minutes entering your details and we will do the rest. You might be surprised by how much you could save. Just how much a meter can save you money on your water bill will depend on your circumstances and water usage. The average unmetered customer saves on average 5-10% on their water bill after installation of a meter (source: Ofwat). Water Companies are required to offer help to customers on low incomes who have 3 or more children, or if a member of the household needs to use more water because of a medical condition. Your company will advise you on how to apply for a vulnerable household charge. You will need to provide evidence that you are receiving a means-tested benefit and details about your family. 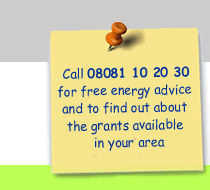 If accepted on the scheme, your annual bills will be a maximum of the average bill for households in your area. Few customers are aware of the scheme so if you think this applies to you, ask the company for advice. Even if you don't have a water meter and don't plan to have one installed, you can still do your bit for the environment and water consumption by installing water saving equipment and using efficiency measures. • Cistern displacement devices that are placed in your toilet cistern and can save up to three litres of water per flush, for example Freddie Frog’, ‘Hippo’ and ‘Save-a-Flush’. • Flushing systems that allow you to control the duration of the flush, such as Interflush and Mecon Water Saver. • Flow restrictors that are fitted into existing basins and showers, such as ‘Tap Magic’, which can reduce water wastage by up to 70% whilst still enabling you to have the normal full flow. • Before buying a new water appliance, like a dishwasher or washing machine, check for its water efficiency rating. • Avoid using hoses and sprinklers which can use up to 1,000 litres of water per hour - instead, collect rainwater in water butts and buckets for use in the garden.